Here's a yummy treat that's easy to make. 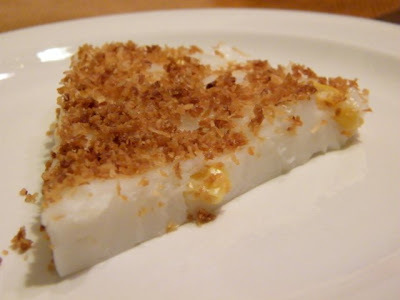 Coconut and corn give this favourite merienda item a tropical vibe! It is popularly sold with rice cakes in the weekend markets in the Philippines, which are brought home for pasalubong after the mass. 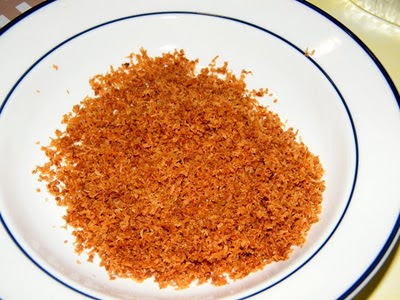 Prepare the topping by toasting the dessicated coconut mixed with brown sugar in a frying pan over medium heat. 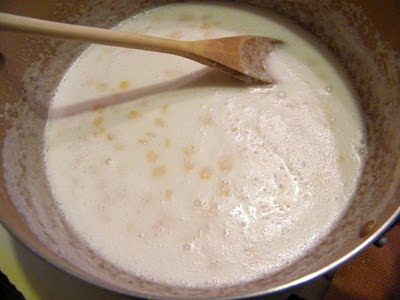 Mix constantly as it will turn brown easily once the pan is sufficiently heated. This will take less than 5 minutes. Set aside. Combine the corn flour, coconut milk, white sugar, and water in your pot. Mix until well blended. 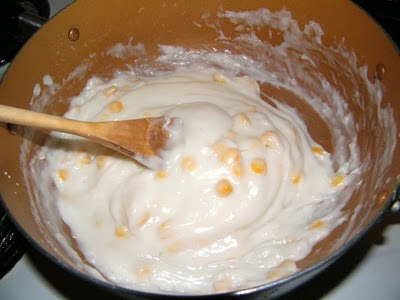 Add the corn kernels and mix thoroughly. Prepare the dish where you are going to let the maja blanca settle by lightly greasing so it does not stick (in our case, we just used aluminum pie pans). Place the pot over medium heat and stir constantly. You do not have to wait long, though you might want to have a chair beside the stove like a do. 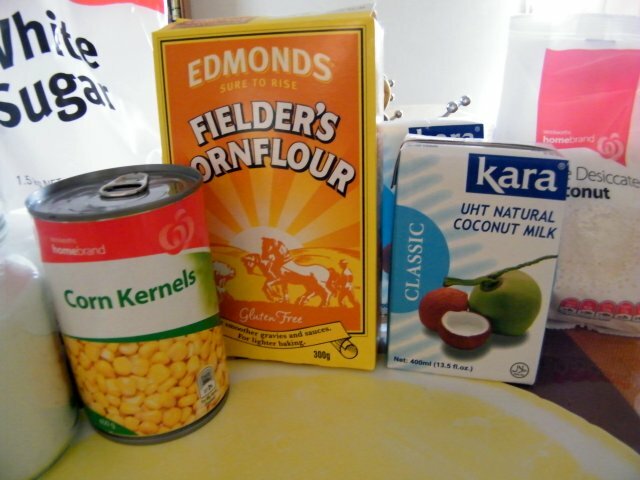 The mixture will soon boil (mine happened after 5 minutes); in this stage you need to mix more vigorously as the corn flour kicks in and starts to thicken the mixture. After a couple of minutes, your mixture should be more or less a flexible mass of whitish goo. 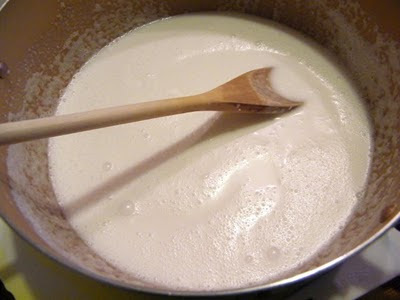 When you try to mix it and the goo sticks to your wooden spoon (or whatever you are using to mix) and you see the bottom of the pan, then it's time to turn off the stove. Immediately transfer the mixture to your preferred pan or mould and try to flatten the surface using a spatula (or similar). 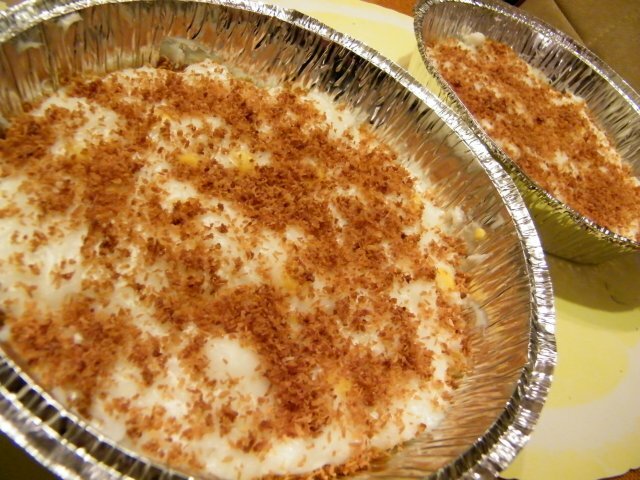 The reason why we have two pie pans is because we wanted to have thin slices of Maja Blanca. But for this quantity, putting everything on one pan is also just fine. 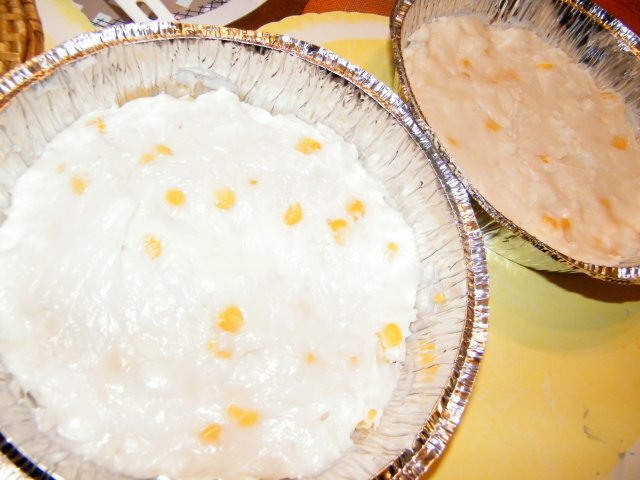 Work fast because the maja blanca will solidify real fast. 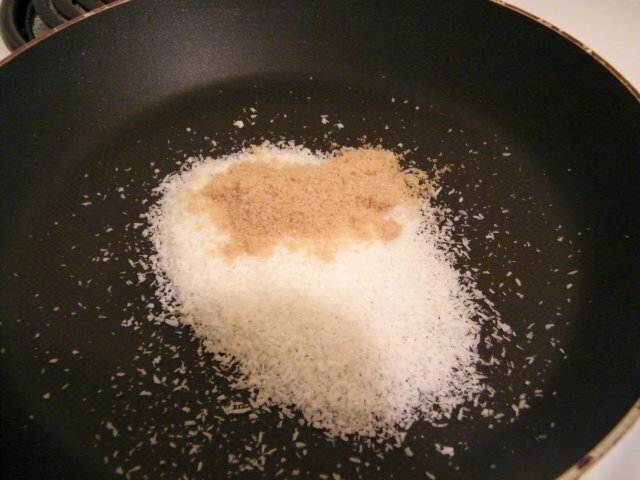 Then sprinkle with the toasted dessicated coconut. Let it cool for half an hour or so before placing in the ref to chill for an hour.